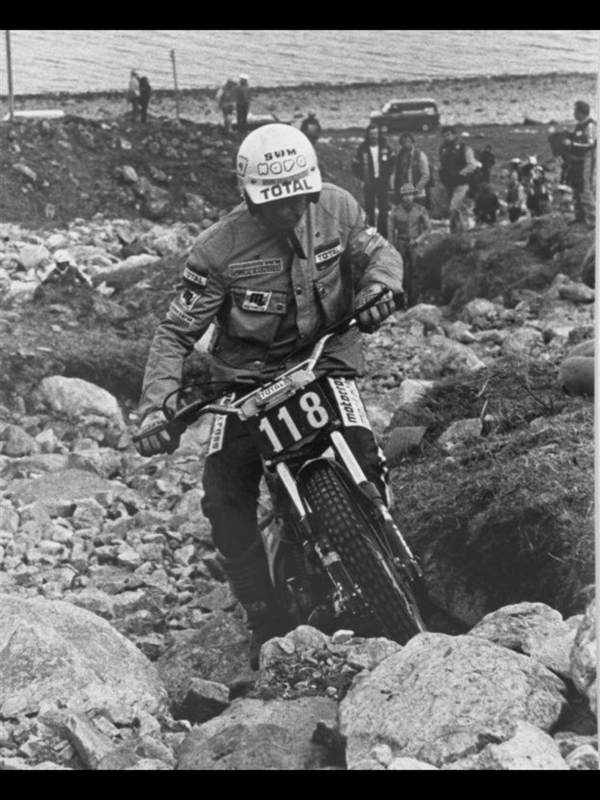 Gilles Burgat became an instant trials icon in 1981 when at the age of just nineteen he was crowned as the youngest ever FIM Trial World Champion, a record he still holds to this day. Having begun practicing the sport a mere seven years earlier, following his father on the mountain trails of the Savoie region in the French Alps, Burgat blossomed as a competitor in regional events and then took the French Junior Championship in 1978. However, his immediate success on the world stage was still a shock, his debut season starting with a surprise victory in the 1981 Scottish Six Days Trial and finishing with the title of World Champion before the final event of the season in Germany. Although he was unable to repeat that level of individual success during a professional career that spanned the 1980s, Burgat cemented his legendary status alongside French team-mates Thierry Michaud, Fred Michaud and Phillipe Berlatier, winning the first ever FIM Trial des Nations in Poland in 1984, a title they successfully defended in 1985 and 1986. A five-time French champion, Burgat remains a trial fanatic and this year competed in the Scottish Six Days Trial (SSDT) in Fort William, although purely for fun.